With Formations Direct, your work is kept to a minimum. 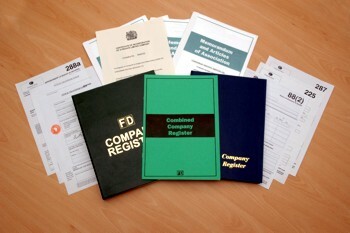 We fill in all the compliance forms and transfer ownership to you when the company formation is complete. This is usually 1 or 2 working days from placing your order, (company numbers are available earlier) for own name company formation and immediately for ready made and off the shelf companies, ready to sign contracts and trade. We specialise in serving the subcontractor and small businessman. Our large selection of names covers a wide range of trades and vocations. Online off the shelf companies are immediately available, and own name companies can be ordered as an online formation or by telephoning us to register your company. Whilst we believe in providing a basic package, which fulfills all your usual requirements, we also recognise that there are occasions where you or your client require a bespoke service or a more impressive presentation. Therefore, we offer extras such as company seal, customising of the memorandum and articles, hardback registers or any other requirements which you may have. We also offer bulk discounting, as well as regular promotions throughout the year and will consider introducing any new service which you may require. You can check to see if your desired name is available or choose from our list of ready made companies. Please contact us to request a free information pack or for more information.